Elizabeth is a reluctant pen-pal with Christina, another teenager from a nearby school. Elizabeth has a rich, funny internal life (she gets imaginary memos from places like The Cold Hard Truth Association) along with a complicated external life. Her parents are divorced. Her mother mainly communicates through post-it notes, and her father shows up only periodically. More worrying is that her best friend Celia disappears for days at a time. Elizabeth slowly reveals her hopes and fears in her letters and is surprised at how well Christina comes to knows her. When Celia runs off and joins a circus, and when adults don’t seem worried, Elizabeth, bolstered by Christina’s long-distance advice, takes matters into her own hands. You’ll quickly love funny, recognizable, plucky Elizabeth. 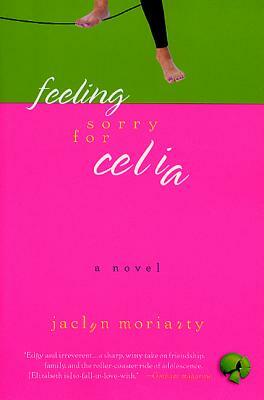 Jaclyn Moriarty's Feeling Sorry for Celia was nominated Best Book of the Year by the American Library Association, for YALSA’s 2002 Quick Picks for Reluctant Young Readers, and for the 2002 Colorado Blue Spruce Young Adult Book Award. Jaclyn Moriarty lives in Sydney, Australia, where she works as a media and entertainment lawyer.